Single fancy shape diamonds of the highest quality. GIA certified. 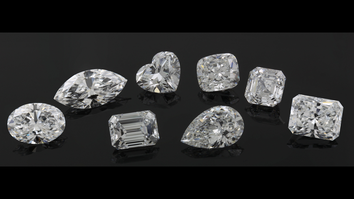 Pear, Emerald, Oval, Marquise, Heart, Cushion, Princess, Radiant, and Asscher cuts. From 0.1ct to 10ct, D to H color and FL to VS clarity. Matched pairs of the highest quality for all Fancies. Precisely matched layouts for all Fancies. Uncertified or GIA certified. Calibrated sizes according to customer requirements for bracelets, earrings, necklaces, pendants and rings. Natural Fancy Intense and Fancy Vivid Yellow diamonds from 2ct and up. 20 Des Voeux Road C.